Kadayawan Festival is an annual festival in Davao City held every month of August to commemorate year of good harvest. During the late 80’s, it was known then as “ApoDuWaling Festival.” It was an acronym derived from first few letters of iconic significance in the city: Mount Apo, Durian, and The Waling-Waling orchid. In 1988, per proclamation of then Mayor Rodrigo R. Duterte, it was renamed as Kadayawan Festival. Since then, the festival has provided great fun and entertainment over the years. 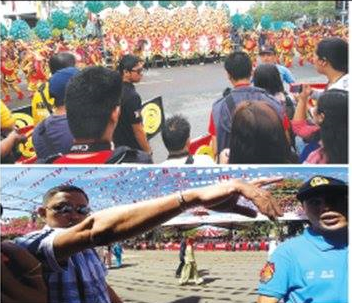 However, this year's edition of the festival did not only provide the usual fare like “Indak Indak Sa Kadalanan” (street dancing) and Festival of Flowers, this year is famous for generating controversy that reached national level. Apparently a Manila based entertainer, Ramon Bautista, got the ire of Davaoenas for a remark that he made during his show in one of the famous landmarks in the city. He described the women of Davao as “Hipon” which is a derogatory that means ugly. The furor was so intense that it even created animosity for a while between the Mayor and Vice Mayor who are father and son in real life. 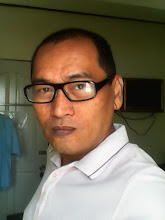 The son wanted a “persona non grata” punishment for the comedian while the father chose to forgive and forget as Mr. Bautista has already made a public apology. Most netizens thought that the whole of Davao was just over reacting to a joke. For so many years, the festival owes its generation of interest from photographers who covered the event; these are a bunch of click masters from amateurs to professionals. This year, a group of professional photographers finally said “wait a moment.” Apparently, it is not only during this year but years ago, they were harassed by field marshals and prevented them from taking good pictures during street events. Some of them cried foul and demanded that photographic coverage of the even should be discussed and action steps should be disseminated to field marshals who were ignorant that professional photographers were given permission to cover the event and they were even provided IDs as point of recognition. As a result of the field marshals’ ignorance, many pictures surfaced on the net where photographers only captured empty spaces and legs of some spectators.